If you’re like me, your life is super busy and it’s a challenge to get the important stuff done rather than just moving from one “fire” to the next. One way I solve this problem is by stepping away for a short time each month to review my long term goals and create a monthly vision board. 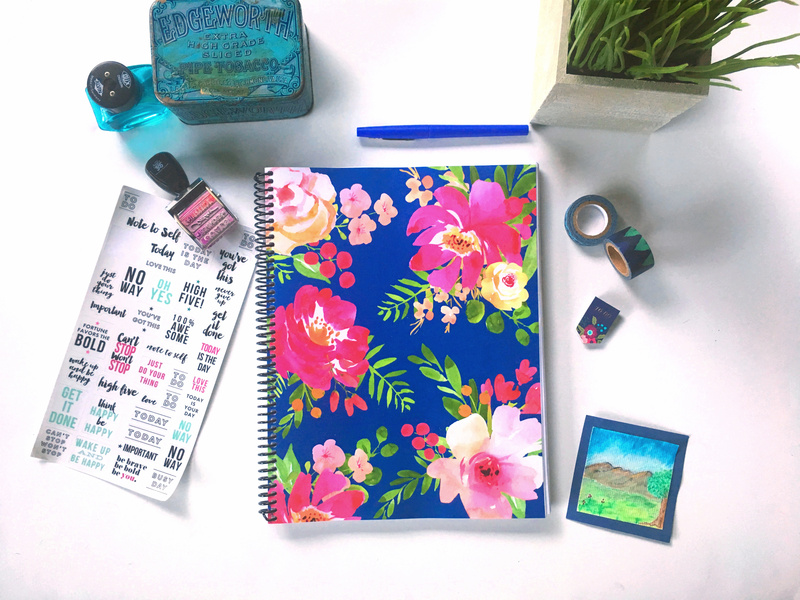 I use the Joyful Life Planner/Playbook, but you can also organize with a bullet journal or create your vision board on piece of paper. continued decluttering progress — yay! The next step is to think about what you want to happen in the upcoming month so you can narrow your focus and choose what’s really most important for the next few weeks. This month I cut some words and phrases from magazines that represent what I want for this month. And in line with my goal to keep things simple this month, I’m keeping the design of my vision board simple too. 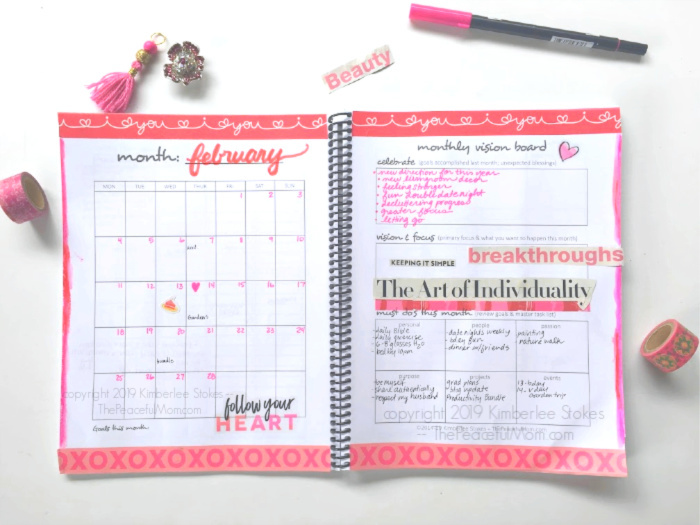 This month I’m focusing on my usual self-care steps (daily exercise, drinking lots of water, going to bed on time); weekly date nights with my husband including a special Valentine’s date coming up; a fun family birthday celebration and working on plans for my daughter’s graduation. Nice Article! 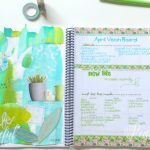 Creating a Vision Board will help you conceptualize your goals and serves as a source of motivation as you work towards achieving your dreams. 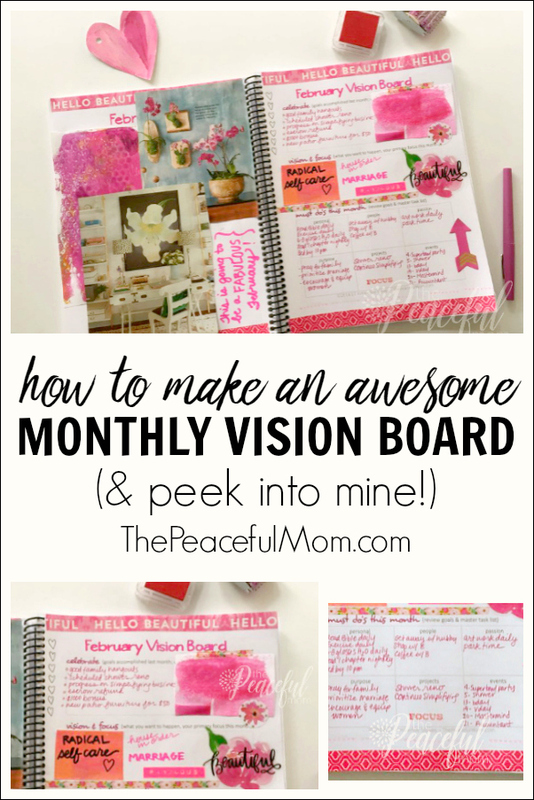 You can use a vision board to stay focused on your dreams and put efforts to achieve them.